Take your climbing to the next level with RMOC. Our professional instructors want to help you with your technique and confidence. With 6 great climbing areas throughout the Arkansas River Valley, we have the perfect crag to work on your skills. Private instruction available anytime, year round. This course is designed for anyone interested in climbing on rocks. No equipment or experience necessary. You will learn about all of the essential gear and be introduced to the fundamentals of top rope climbing. This will include knots, anchors, belaying, and climbing technique. Have you already spent some time climbing in top rope but looking for a new challenge? AMGA Certified instructors will prepare you to lead sport climbs on your own. We will cover route finding, gear, clipping, communication, and also cleaning the route. Learn to build and clean anchors in a variety of settings, from basic bolted anchors to creative solutions with trees and gear placement. Learn about route selection and gear placement in both sport and trad settings. 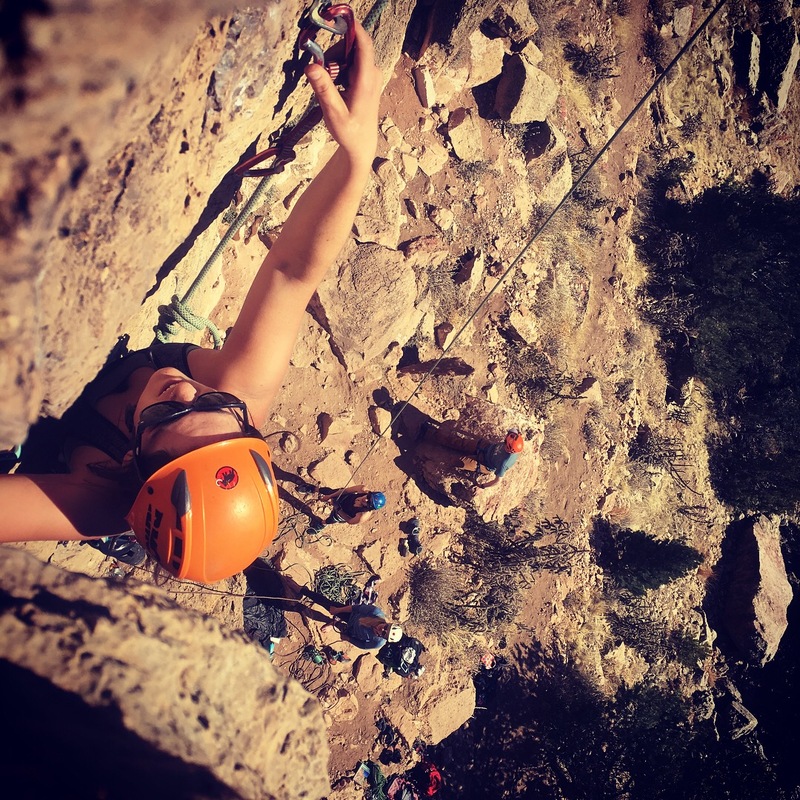 Put all of your skills to the test on a multi-pitch climb in the beautiful Arkansas River Valley. Good times and great views!